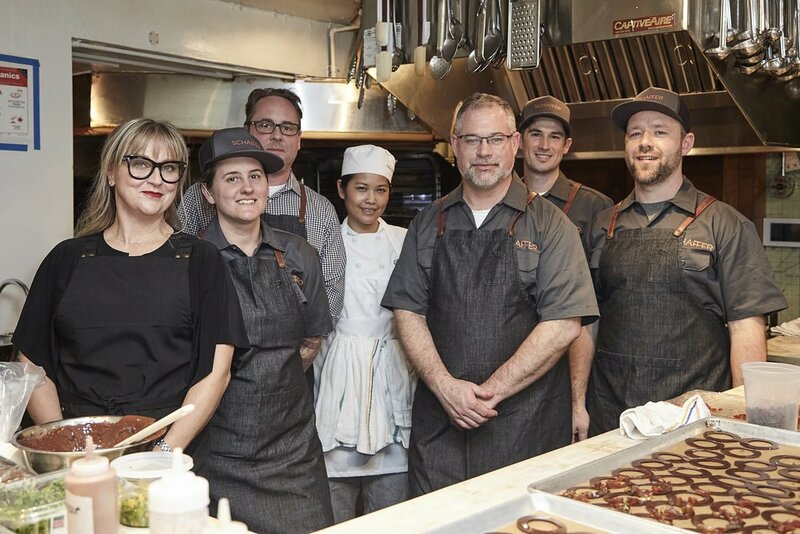 On March 10, 2018 Kathleen and Charlie Schaffer were invited back to The James Beard House to host another dinner in support of The James Beard Foundation. We packed up our knives and some of the team and headed to NYC to serve a meal exploring “The Future of Food and Event Hospitality”. 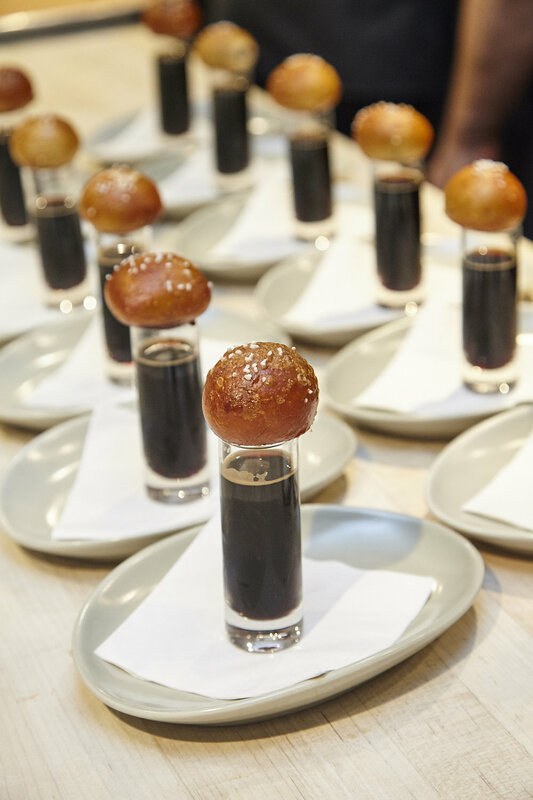 A belief that in the future how we consume food, alternative proteins, fermentation and algae were all on the menu for this sold out event. We paired each course with wine and beer from our some of our favorite producers including Casa Dumetz , Aether , Ployez Jacquemart . The meal ended with our famous warm Pretzel Covered Chocolate® and a perfect sip from Border X . Guests received a lemony treat from the Ring Ding Bar to enjoy on their way home. It was another fantastic night and a true honor to support this excellent foundation and further their mission. We are so grateful to all of the wonderful sponsors who graciously donated their beautiful contributions and to all of the guests that came to dine. It’s always such a joy to go back to where it all started for Schaffer, Viva NYC!